Book with Online Audio Access. Providing the vital backbone for countless songs, the rhythm guitarist plays a crucial role in rock music. 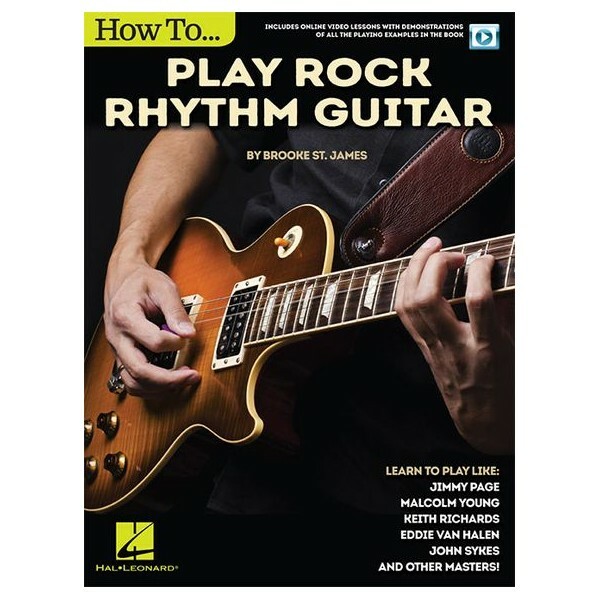 How To Play Rock Rhythm Guitar guides you through the essential basics that every rhythm guitarist should know. With the help of experienced tutor Brooke St. James, you too can learn to play like Jimmy Page, Malcolm Young, Keith Richards, Eddie Van Halen, John Sykes and other masters of the style. This book features full-length video lessons, demonstrating every example in the book and covering a wide range of topics including strumming, muting, chords, riffs, alternate tunings, gear and much more.